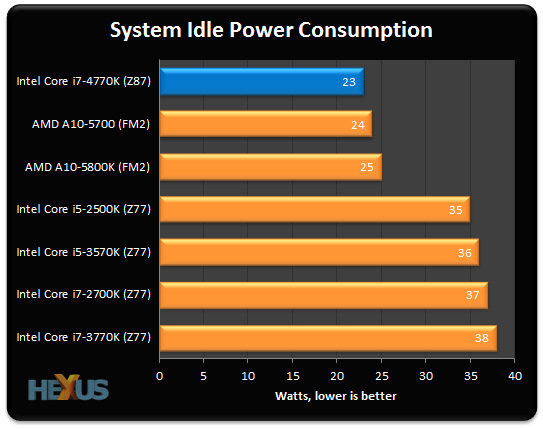 The change in socket makes it difficult to directly compare power consumption; the previous-generation processors are attached to a Gigabyte Z77X-UD5H, while the Core i7-4770K is plugged into a Gigabyte Z87-D3PH. Nonetheless, the Haswell platform as a whole is proving to be suitably efficient. The entire PC draws just 23 watts when idle. 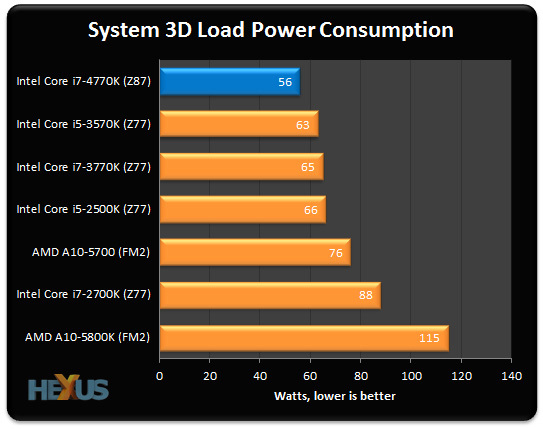 Power-draw under load is impressive, too. With the CPU running flat-out, the entire PC draws no more than 76 watts. And remember, this is one of the hungriest Haswell processors in production. The IGP, while significantly superior in terms of performance, also happens to be noticeably more efficient. 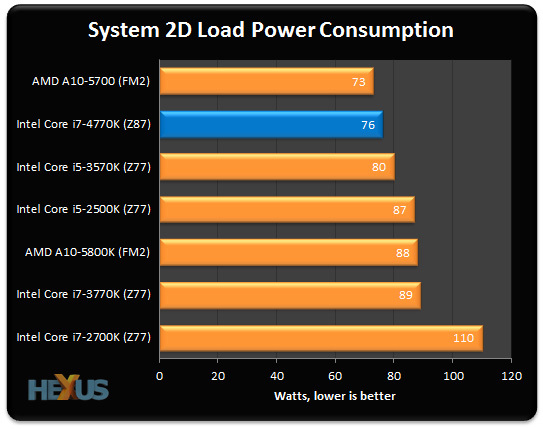 When playing DiRT Showdown, the Core i7-4770K system provided to be 16 per cent more power efficient than Core i7-3770K, and 57 per cent more efficient the Core i7-2700K. This statistic is more impressive when you consider that the latter two, despite their higher power draw, were unable to deliver smooth framerates.